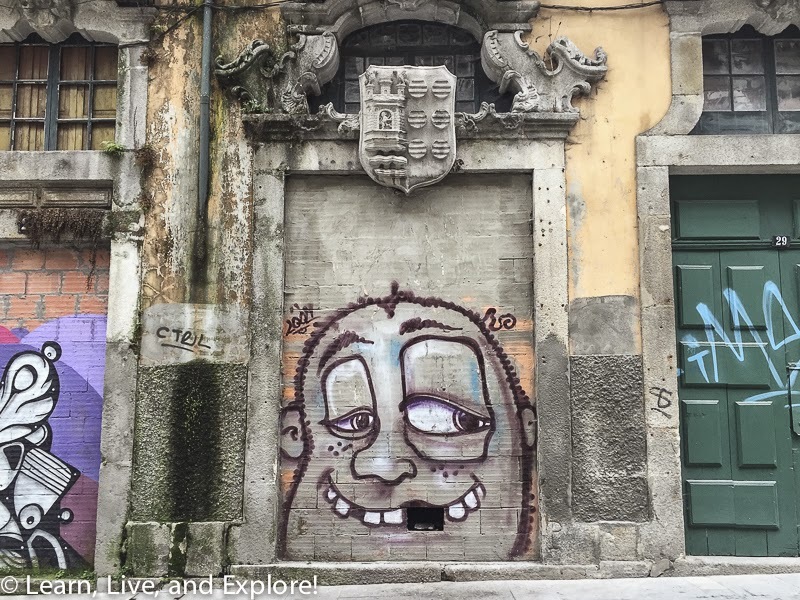 24 hours in Porto, Portugal ~ Learn, Live, and Explore! If I had to identify my initial reason for visiting Portugal, it would definitely be the town of Porto. 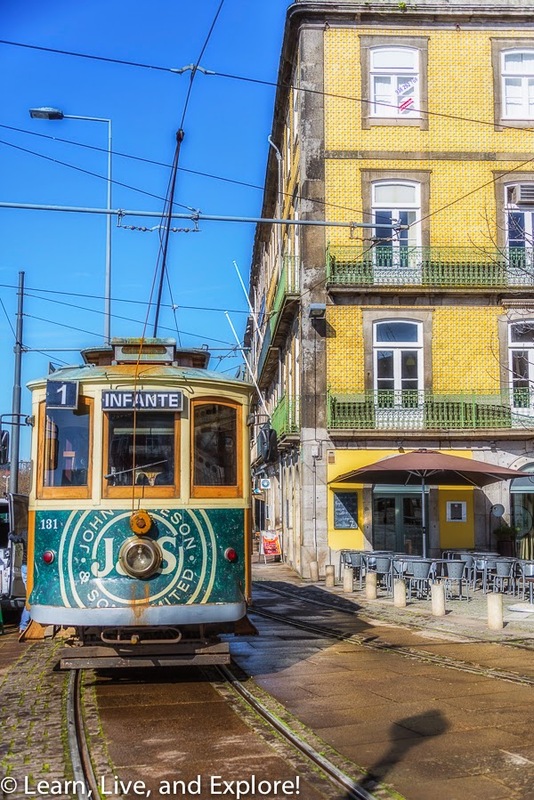 It's located about 2.5-3 hours by car or by train from Lisbon, so you're going to likely have to spend the night. Trust me, though, you're going to love the extra time! 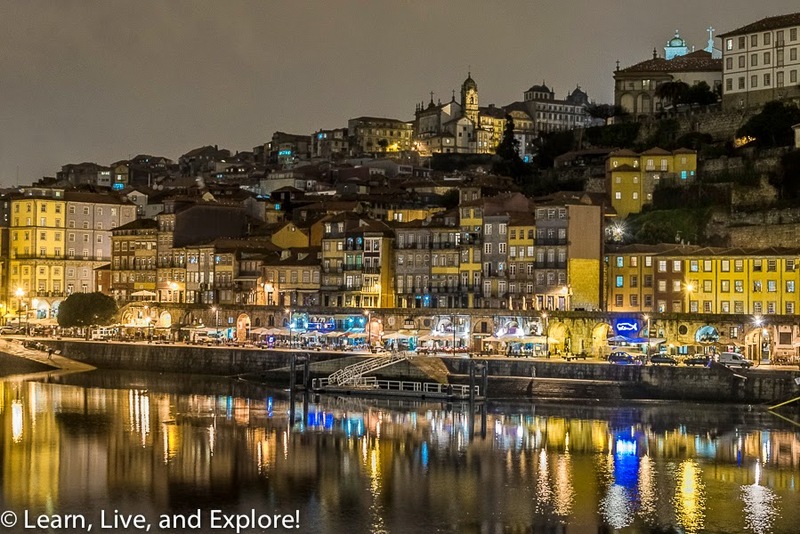 Porto literally translates into "port" in English. 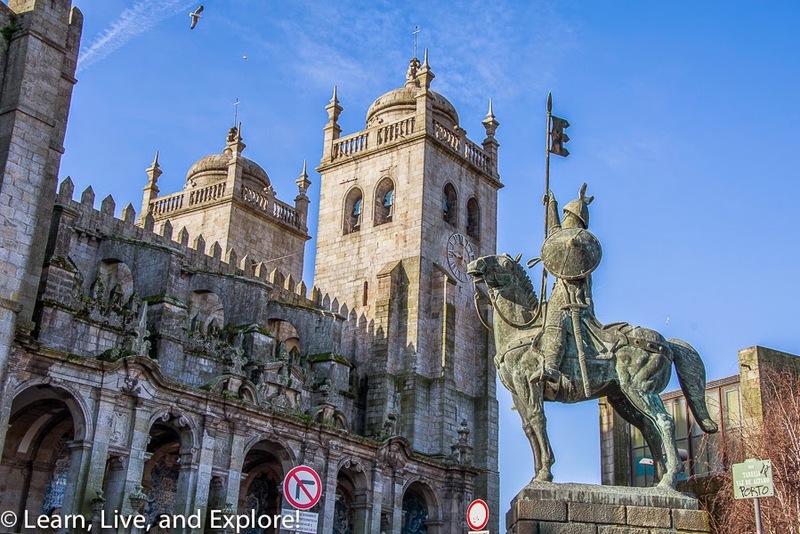 It is second to Lisbon in size and has a 2000+ year history of maritime trading, especially based on its proximity to the Douro Valley vineyards and their famous port wines. The city is compact, albeit a wee bit hilly, so it's a very easy adventure to cram into a short amount of time. I literally did this tour I'm about to share twice in 24 hours because the first time I accidentally left my SD memory card for my camera still in my computer from downloading photos the previous night. Whoops! The first stop in this counter-clockwise journey is the Luis I bridge (Ponte Luis I). This is a double decker bridge with train and pedestrian paths on the upper level, cars and pedestrian areas on the lower level. The city view photo above was taken from the upper level, which can be reached from Av. Vimara Pares. There is a small park at the end of the bridge that also provides more viewpoints, however the cables from the gondola get in the way a bit there. Crossing back over the bridge into old town, it's hard to miss the Porto Cathedral on your left. This is one of the city's oldest buildings. Construction on this romanesque church began in 1110A.D and was finished in the 13th century. 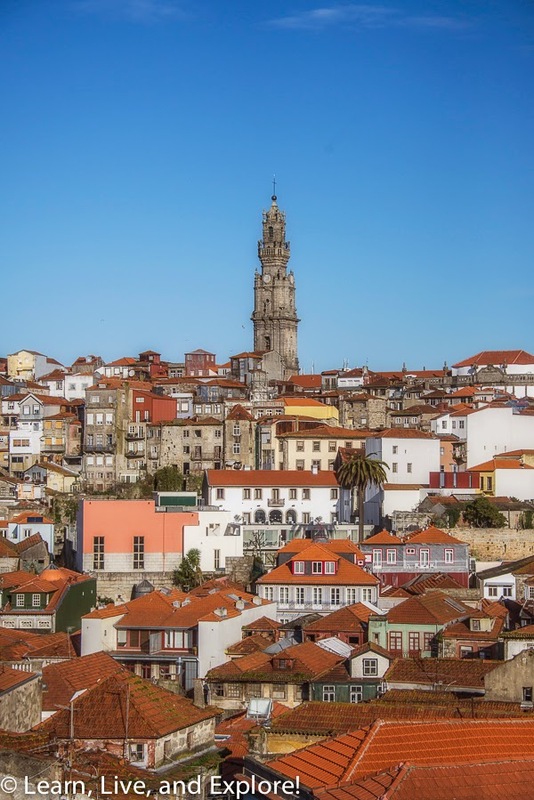 From the cathedral, you will have a view of the famous Porto tower sticking out of a field of red rooftops. 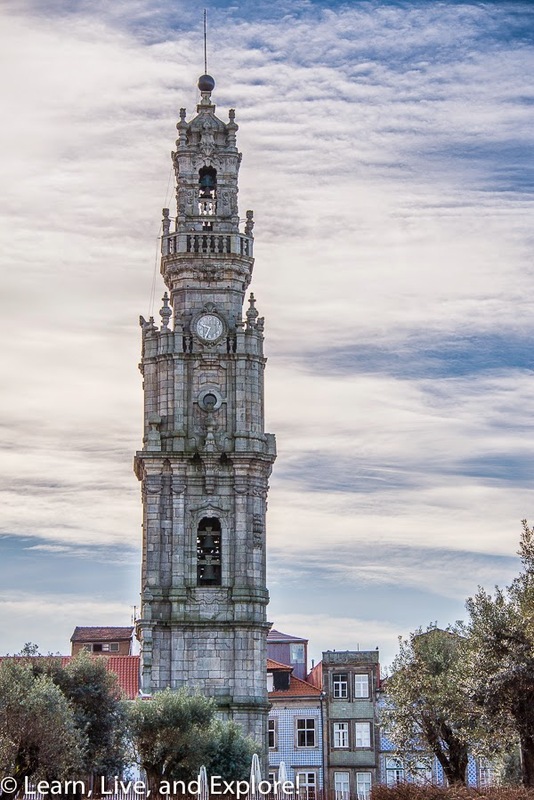 Porto is a city where you need to put the guidebook and map away and just look up and around. The buildings are gorgeous, albeit a little bit in need of a cleaning though it adds to the character. 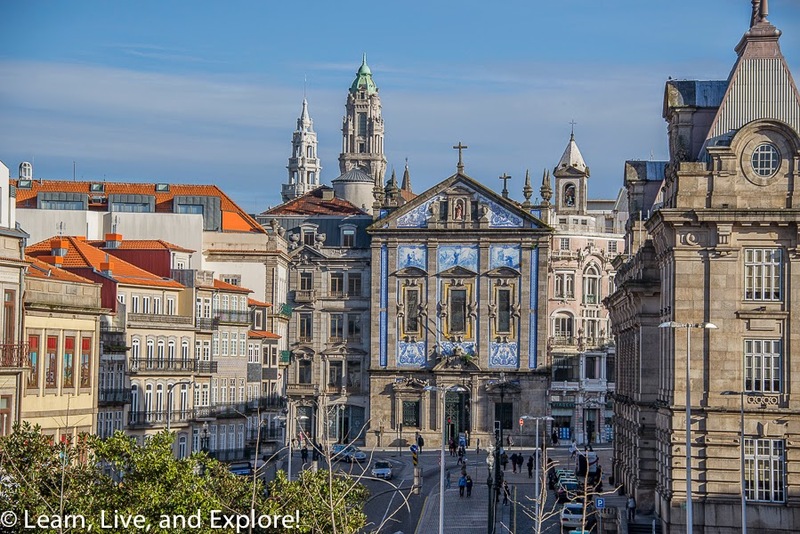 For example, from the Cathedral, look downhill and you can see the beautiful blue tilework of the Igreja dos Congregados next to the train station. 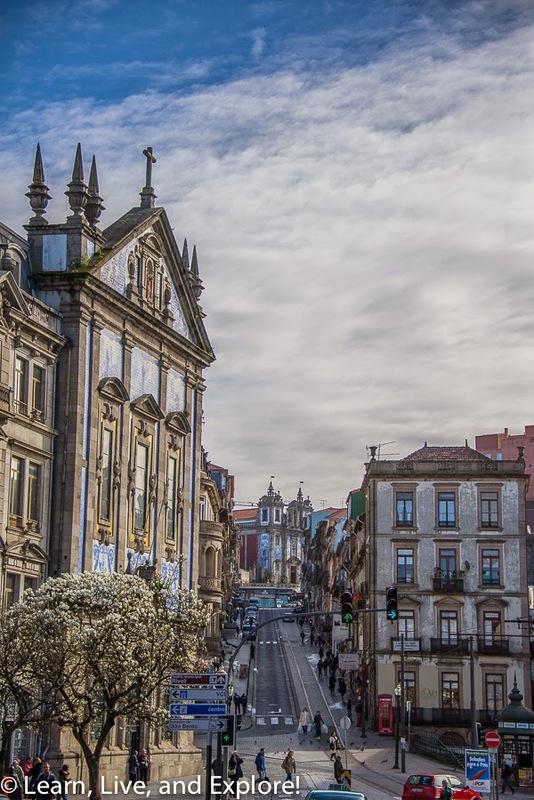 Don't walk there yet, because you're going to go uphill a little more to find the Igreja de Santo Ildefonso. The 18th century Igreja de Santo Ildefonso was my favorite example of the azulejo tilework! It is a must see, in my opinion. Next, I started to make my way east towards the Porto tower. I wanted to visit the Majestic Cafe, with it's art deco style interior and exterior, but I was having a terrible time finding it. If I was in the right spot, it looked like it was closed and under construction; however, looking on Trip Advisor, people were there dining the day before. So confused, but now I have an excuse to come back! Once again, the walk to the tower is a time for you to pay attention to your surroundings. 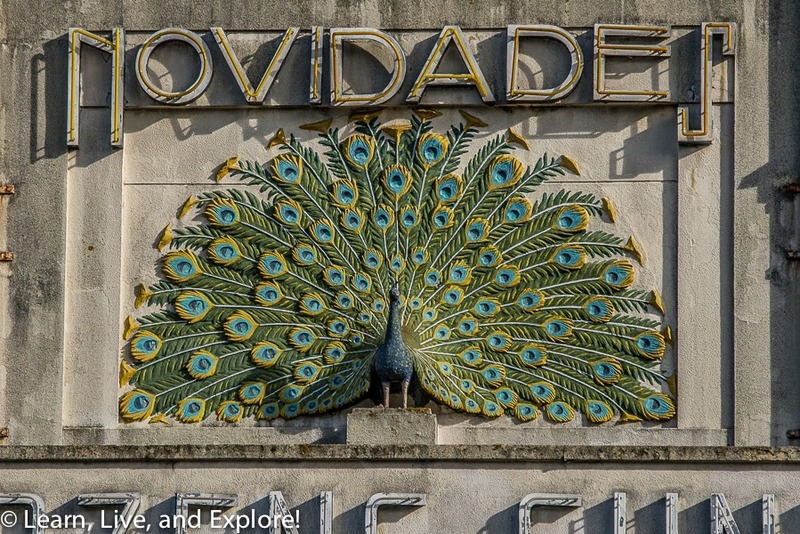 I found some great early 20th century buildings and signs! 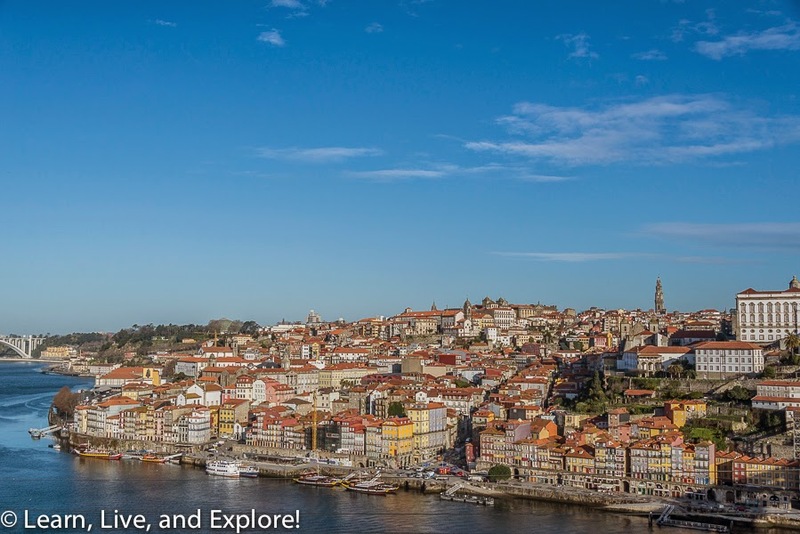 At the beginning of this post, I said that Porto was my reason for visiting Portugal. 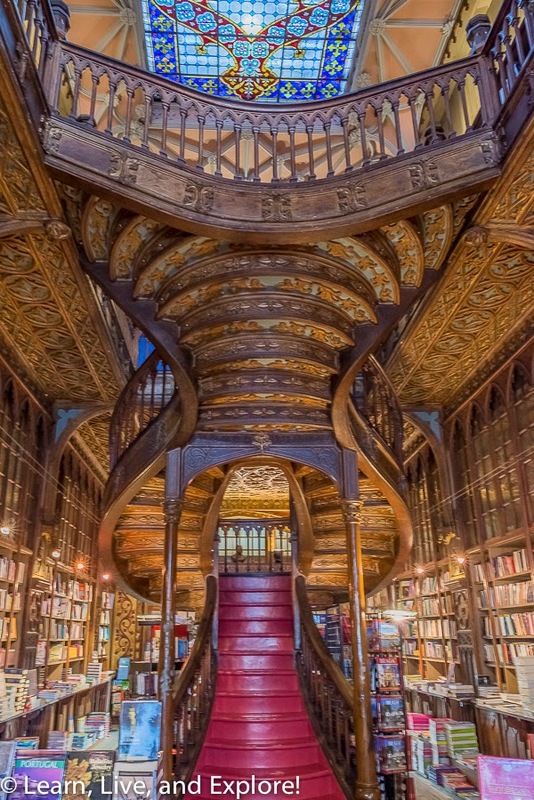 More specifically, the Livraria Lello & Irmão, or the Lello Bookstore was the reason. I was there before the 10am opening because I knew it was going to get crowded quick, and boy was it worth it! 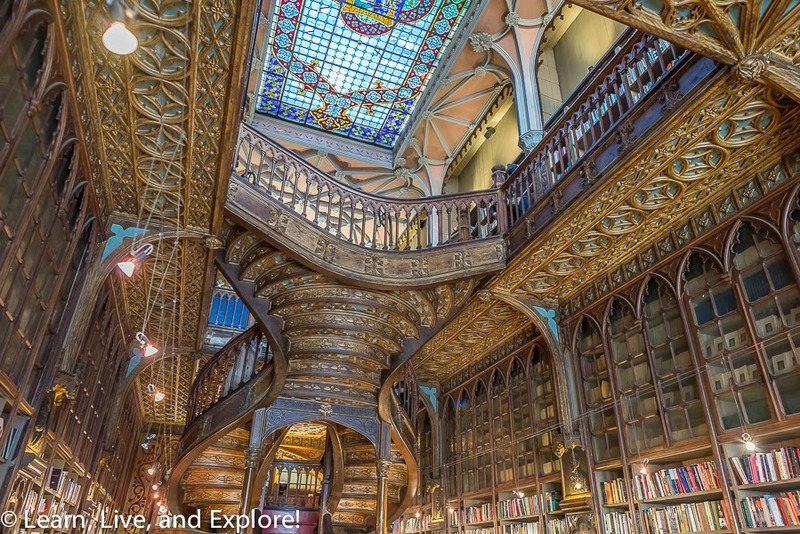 I love bookstores, and this is one of the world's most beautiful bookstores. This building was erected in 1906 with an art nouveau exterior facade and a neo-gothic design for the interior. 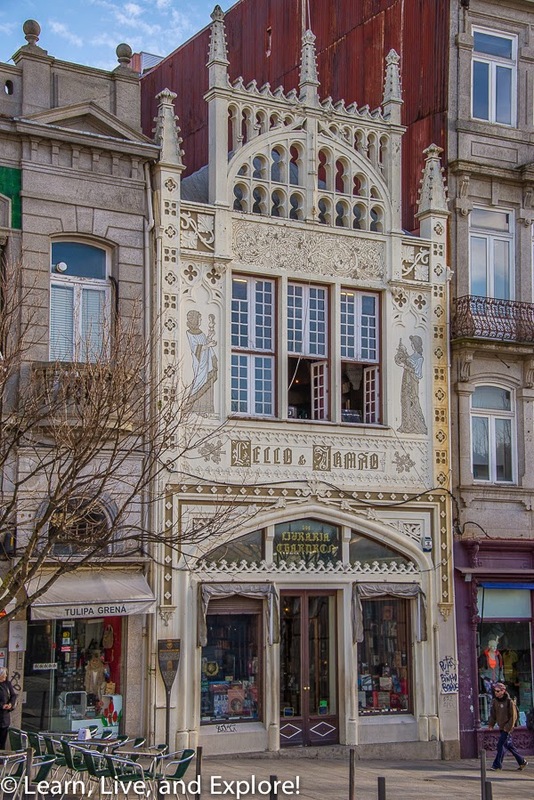 There is plaster that is painted to imitate wood in areas and the curved stairs are the first example of reinforced concrete structures in Porto. Of course, you can't miss the ceiling's stained glass window with the store's motto. 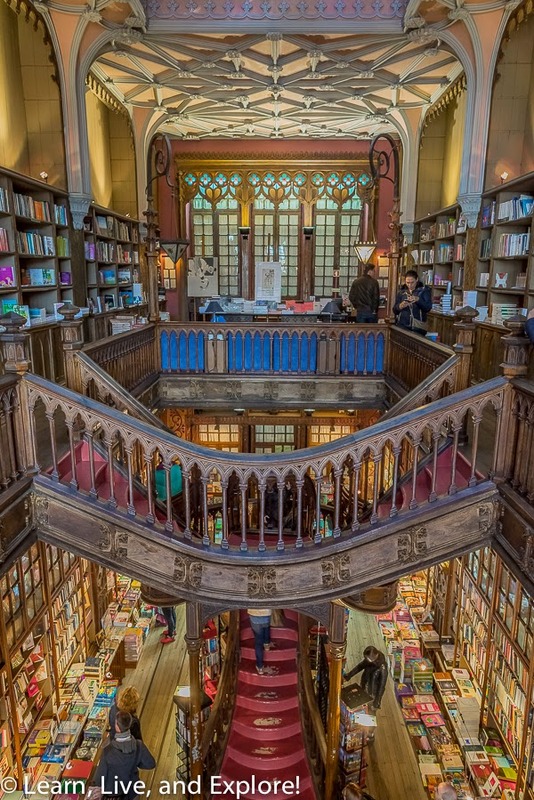 I've had this bookstore pinned on Pinterest for years now! By way of the tower, or Torre dos Clérigos, head back to the train station. 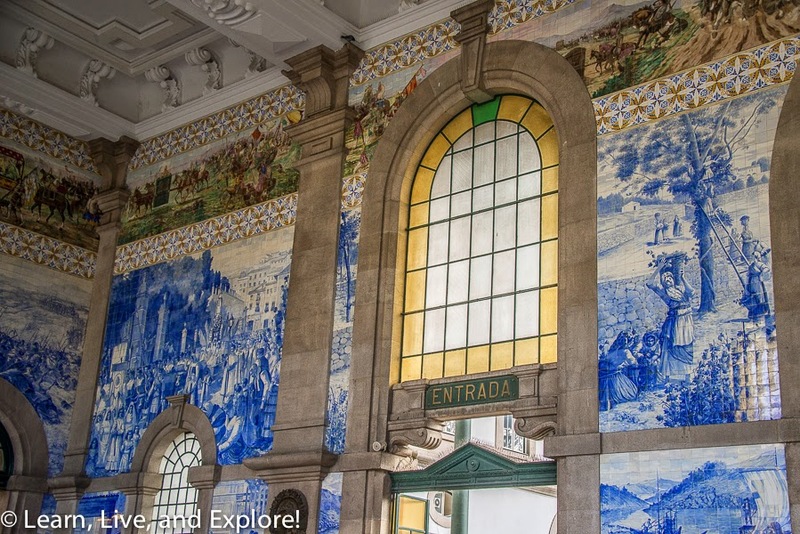 The Estação de São Bento's entry room has more of the azulejo tilework that depicts Portugues history. Definitely worth visiting! 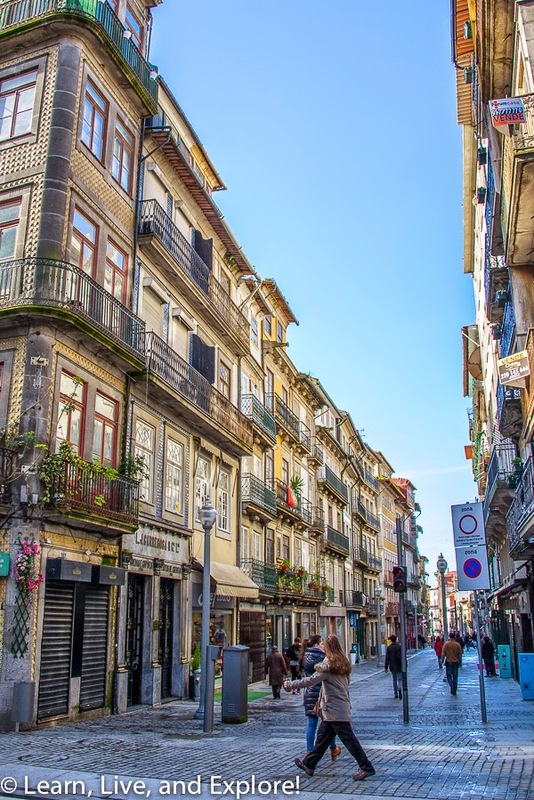 Finally walking downhill after endless uphill paths, if you make your way down Rua das Flores, your next destination should be the Palácio da Bolsa. Sadly, there was a wine exposition going on this weekend, so the palace was closed for tourism. If you get a chance, the interiors are supposed to be fantastic, and very gold! Finally, finding yourself near the waterfront, see if you can spot the old trolley running! 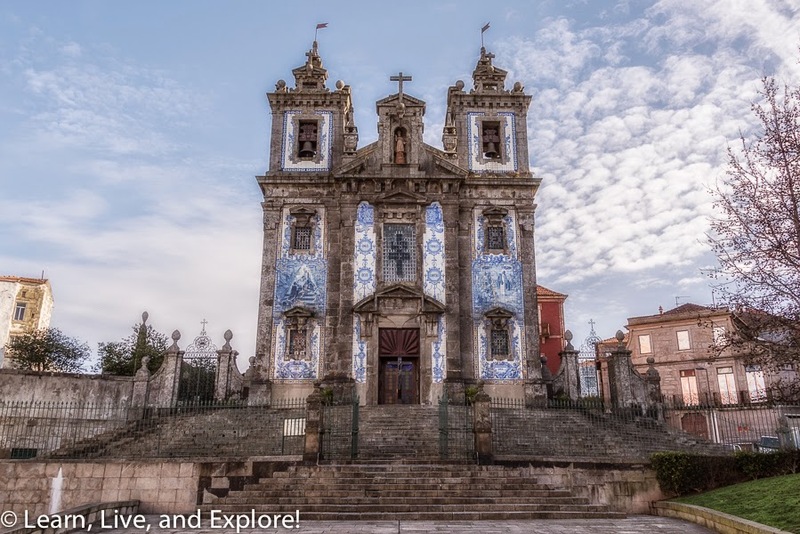 Then make your way to the Igreja de São Francisco on the downhill side of the Palácio de Borse. 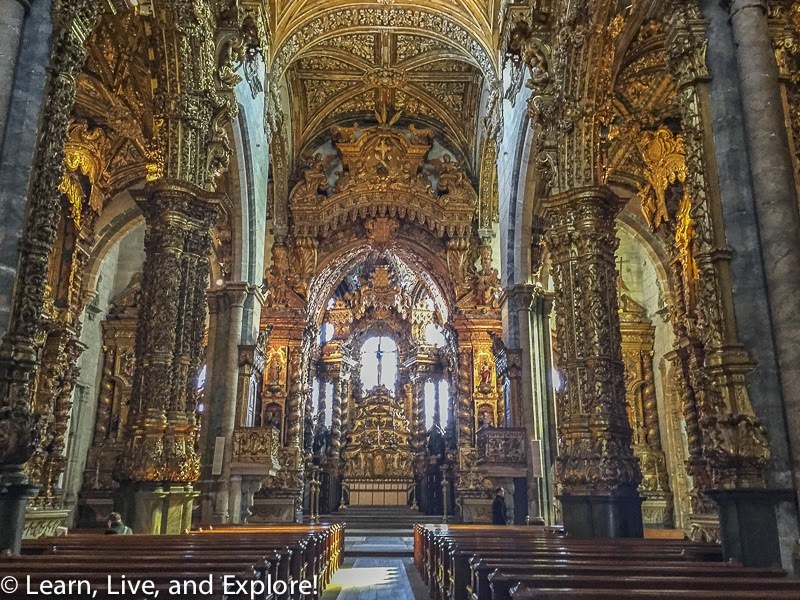 The interior of the church was done in a baroque style with gold painted, or gilded, woodwork. You can also visit the catacombs if you're into that...ew! While you are near the river, take advantage of the pedestrian lower-level walkway of the Luis I bridge to gain a different, river-dominant view of Porto. A great way to end the tour! Take the funicular back uphill to return to your lodging, if needed. And, if you remember to pay attention, you won't miss some interesting and clever street art, as well! 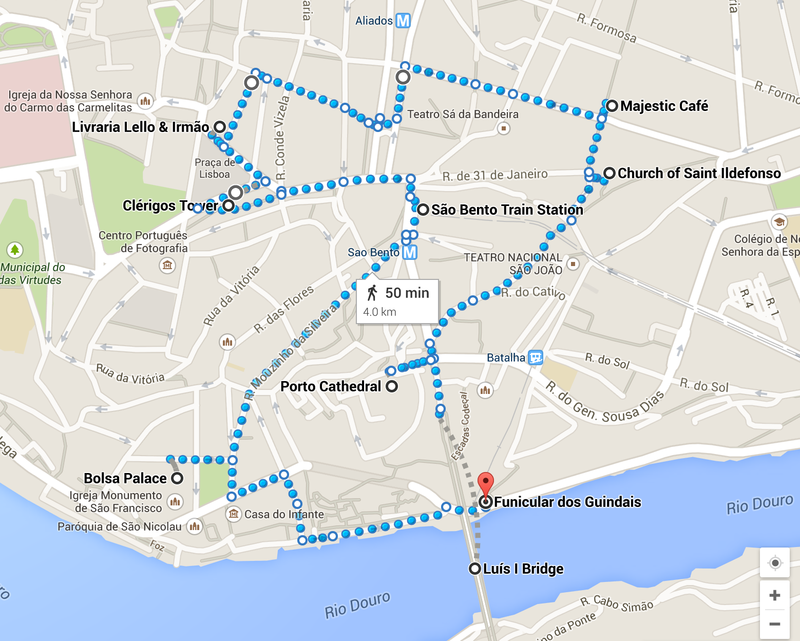 Here's the route I took around Porto...happy exploring!